How do you use the FMS screen in a group class? 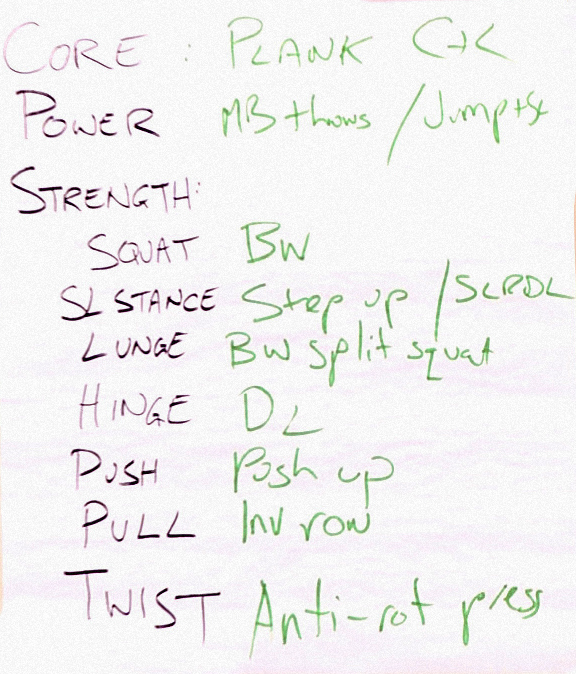 Home » How do you use the FMS screen in a group class? Here’s a question we hear pretty often: How do you use the FMS screen in a group class? Turns out that question also came up during the live Q&A following the Future of Exercise Program Design lecture, where Alwyn Cosgrove and Gray Cook offered the following suggestions. Here’s what we do with groups. Everybody who joins our gym gets individually screened. This gives us a baseline. Then during the group class, we all warm up, then each person may have one or two things to fix, which we discovered during the individual FMS. By then we know that everyone is cleared for exercise—there was no pain on the FMS. You don’t have to go to a therapist—you’re just not good at the movements. So now, in the group class, when I say, “Correctives,” one person’s doing his shoulder while another’s doing her core. Then I offer options. We’re going to do a squat. Option one is a bodyweight squat. If that’s too tough, you’re going to do an assisted squat holding onto a strap or a rack. If that’s too easy, you’re going to grab a kettlebell and do a goblet squat. For every skilled exercise, there’s a corrective section for the additional stuff. Does the screen suggest you shouldn’t squat? Here’s what happens: No squats for you. Do core. If you have a small group, imagine you didn’t have any movement screen information. What would you do? It’s more chaotic, isn’t it? Now you have movement screen information and you can enhance your programs. Don’t use groups as an excuse to skip steps. Let’s make an assumption that in a group of women who hired you for fat loss, none of the women have a motivation issue or a work ethic issue. They’re coming to you because they have a metabolic deficiency. Something is not working the way it should. The fastest way to find that out is to screen them. We’re going to train everything, but the human body can only do so many things. It can squat, hinge, lunge, push, pull, twist and single-leg stance. A javelin is a lunge, twist and push into single-leg stance. A spinning back kick is a twist into single-leg stance. These can all be broken down. If I train all of the movements, I get all of the muscles. If I do a muscle part split, I may miss something. If I train all of the movements, I get everything. My answer to the group screening questions is this: Establish a baseline. Anybody who joins your gym from now on, screen them. If you’re good at screening, it takes seven to 10 minutes. That’s about as long as it takes to write up a credit card payment. You can do it and you can get so much information that will enhance your programs. It’s worth it. Everybody trains everything. The difference is how they train it. They’re all going to squat. How are they going to squat? Are they going to squat bodyweight for one set of five or are they going to squat a goblet squat for two sets of 15? In a group, if you’re not in the middle of ability, you aren’t going to get what you need. Some people are going to get way more than they need in that uncomfortable and awkward stage. The whole point of screening is so when we get to a move that’s going to make you feel awkward or it’s going to be unbelievably easy for you, we’ve already pre-determined where you should go. And this keeps the rhythm of the group going. We keep the group energy. I never understood why people who choose to exercise in a group would assume they have to be screened as a group and talked to as a group. Most of them want to meet you in person. You can take about 10 minutes to find out the specifics you can give them later in a group situation. Don’t take that opportunity away from them. They want to meet you and hear behind the scenes this little extra attention for them. That’s a huge up-sell. A lot of people think group training means we have to screen as a group. With boot camp, we train them as a group, but they still go through an individual assessment process. People don’t all get the same size shoes. We have to figure out what size their feet are. They get the right size boot, but they all train together. Results and retention will be improved through the roof with screening. You’re not going to hear that from me. If these people are giving you money, you have an obligation to find out where they are and individualize their programs. I understand logistically it can be tough, but I still want to know whether a woman is going to hurt herself if I hand her a kettlebell and ask her to do a shoulder press. The moral of my part of the story is: Use the movement screen to enhance what you would already do. Our video The Future of Exercise Program Design, featuring Gray Cook, Alwyn Cosgrove and Lee Burton, goes into great detail about how to use the Functional Movement Screen to create individualized training programs. Click here to see the preview clips and learn more about the video. Alwyn discusses this in more detail in his lecture called Designing Semi-Private Training Programs. 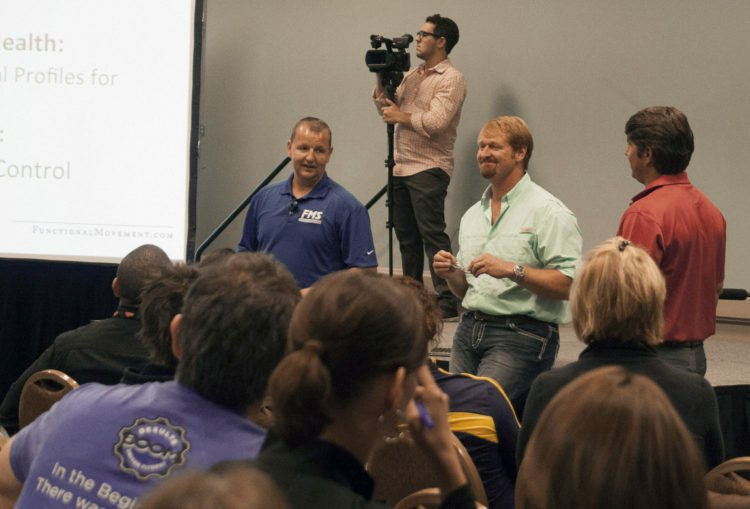 Thom Plummer covers the financial side of it in his longer video, The Business of Training, and Mark Snow outlines his group training plan in his lecture called Using the FMS in Groups.